No collectible is completely safe from theft. 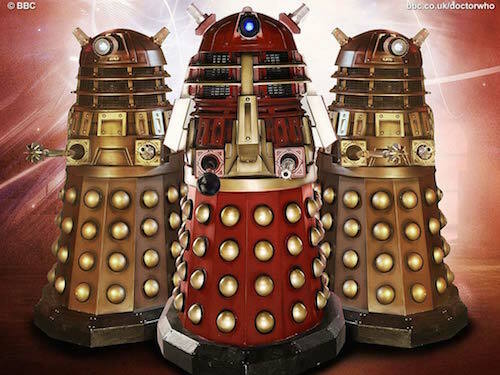 A Dalek stolen from a Somerset tourist site has been found on Glastonbury Tor after thieves said it was “too hot.” The prop, which was at Wookey Hole Caves, near Wells, for a Doctor Who exhibition, was taken more than a week ago. A “ransom note” was then issued. Cave owner Gerry Cottle made appeals for information. In the early hours of Tuesday, staff recieved a phone call telling them where the Dalek was.